Retroblog: The wait is over. Legendary beat production on Android. We are excited to release our collaboration with Samsung and Akai Professional! iMPC is available now on Samsung Galaxy Apps Store. 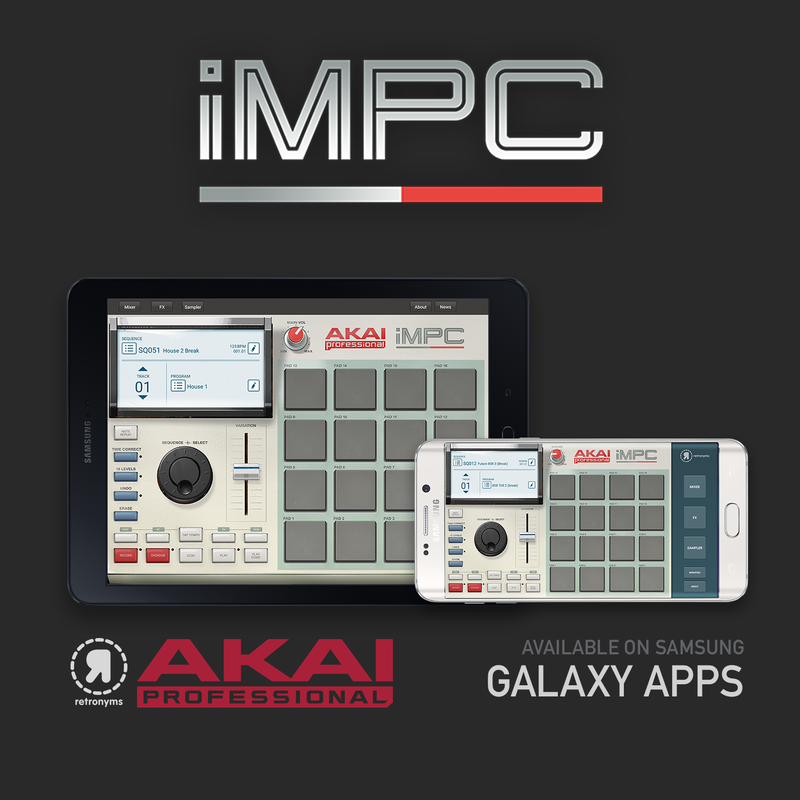 With more than 1,200 samples, 50 editable programs, 80 editable sequences and iconic MPC workflow, iMPC is the first app to bring all the functionality of a classic Akai Professional MPC to the Samsung Galaxy Apps Store. “With the iMPC, users can create and manipulate beats and sequences with amazing precision and creativity,” said Dan Gill, Product Manager for Akai Professional. “It’s simple to use, and has all the flexibility and options anyone could ever want—and then some.” We can't wait to see what you create. Curious about some of our other apps? X0X Drum Deranger, Goblin MX4-FX, and Boomroom are $0.99 in Tabletop this weekend. Both Hook for iPhone and iPad are on sale as well. Now's your chance to create something new.